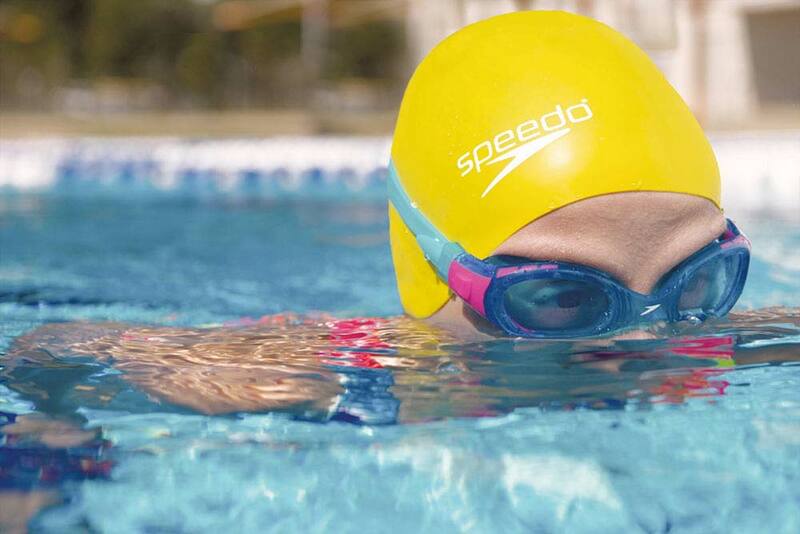 Professional Photography for Commercial Client :: SPEEDO. Commercial photography has taken me all over the world to places like Iceland to shoot wetsuits, Africa for an exotic take on fashion, a Spring wedding in Europe, and most recently luxury fashion in Cuba. Those of you who know me or follow my work will understand how much I love to travel and how I relish these location assignments. As a pioneer with Rip Curl back in the early 80's, fashion and active lifestyle photography has developed into an area of which I specialise. This featured collection of images was shot in Australia at the Gold Coast Aquatic centre for Speedo, to be used for the release of their 2015 Summer campaign. There is a tremendous difference between taking photos and working as a professional photographer. Sure, we can all own great equipment, and as vitally important as this maybe, it is still just one element in the equation. To me, the difference is knowing how to master every lighting situation, how to solve problems as they present themselves while still delivering unique and exciting images for the client that carry my signature style. Underwater photography has it's own unique set of challenges to conquer, of which I would say skin tone seems the most obvious to the viewer. Imagine you're immersed in water, the pool is painted blue, the sky is blue and everything I can see through my lens has a blue/cyan colouring. This is where technique, experience and a deep understanding of light comes into play when behind the camera and in post production. 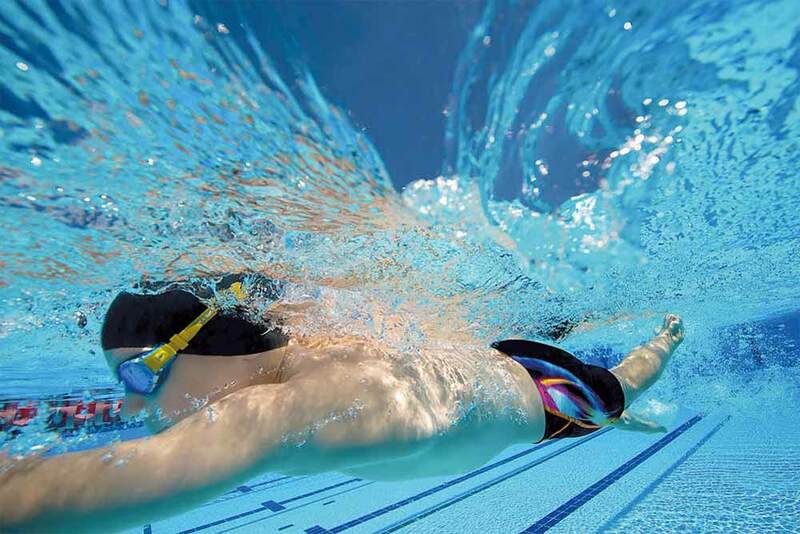 It takes a great level of skill and natural ability to look good and relaxed underwater. 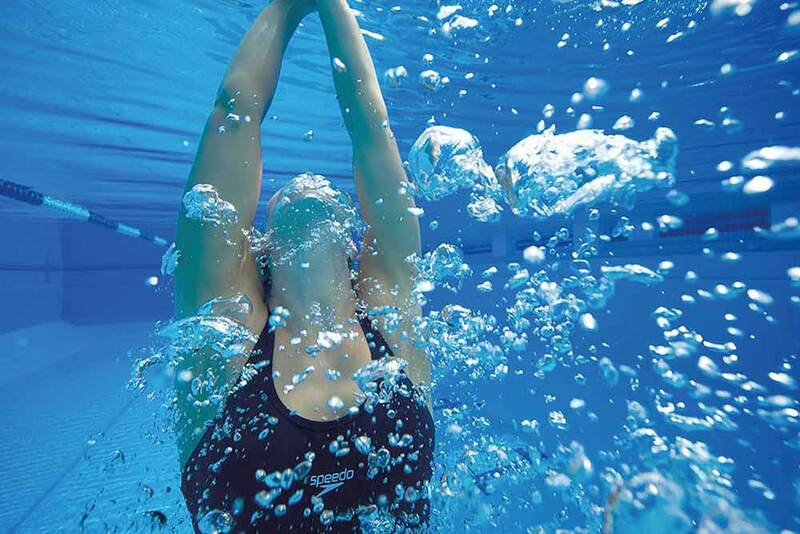 Being comfortable with water up your nose while holding your breath and taking direction is commendable. 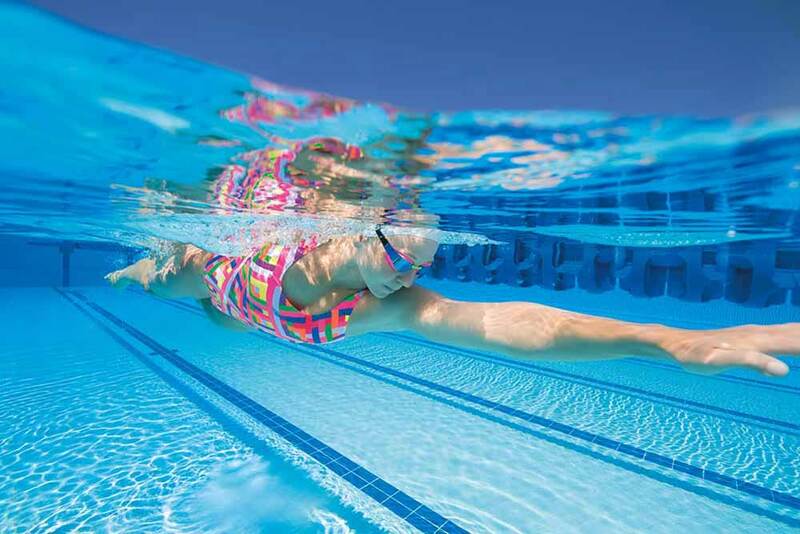 For this shoot we worked with a great team of swimmers, Olympic athletes and kids that swim like fish. I couldn't have wished for a better dynamic, everyone was fit, healthy and loving life, this always results in better imagery and a more satisfying vibe on location. The interpretation of the brief, developing a working relationship with models and establishing a long term professional relationship with my client, while ensuring we all have an enjoyable journey – is paramount. Once the brief is delivered, the client wish-list and creative interpretation established, it's then time to open up the lines of communication with all involved. The team at Speedo work as a close group of professionals, each with their own job and objectives, under the guidance of their talented marketing manager Brooke. Like good technique is needed to achieve memorable imagery, so to is a great support team, from lighting and underwater assistance to digital management and post production, everyone in my team plays a special roll in the delivering of successful images. I always have a selection of lenses on hand including the Nikkor 14 - 24mm zoom f2.8, 600mm f4, through to a 16mm f2.8. All backed up with an extensive arsenal of equipment from various flashes, lighting and Manfrotto stands, and of course accompanied by the trusty Nikon cameras and Aquatech water-housings. On this shoot I used the Nikon D810 in an Elite 810 Aquatech water-housing which allowed me to achieve cover shots at high resolution and quality for enlarged imagery on billboards. The work horse was the Nikon D4S in a D4 Delphin Aquatech water-housing – it's unparalleled when it comes to capturing movement and fashion detail. Like most larger accounts/clients, their product is shot in advance, often months or in this case for Speedo, a year in advance. It is that time of year again when we will be shooting next years exciting collection of new designs and product, but in the mean time enjoy my selection from this Speedo assignment.